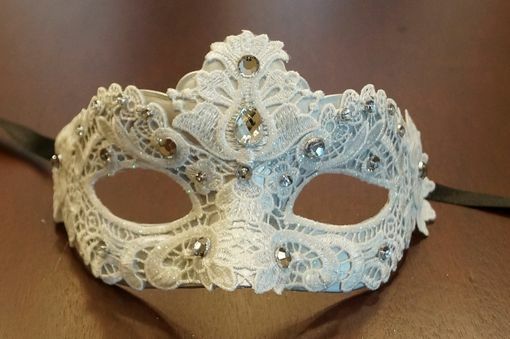 This intricate masquerade mask is decorated with a lace overlay and adorned with faux gems. Mask is made out of a hard, durable plastic core. Easy and comfortable to wear to your masquerade wedding with ribbon ties.